The Hub is a UK network of universities involved in catalysis research, whose main aim is to bring the UK community together, through conferences, events and collaborative research. And it is based at RCaH. Originally, the Hub consisted of just three or four people. Now, five years later, it has grown to about 30 people. Students and research groups have come from various universities, mainly because now there is a critical mass of people and expertise at RCaH. In addition to having access to all the facilities at Harwell, the fact that RCaH is geographically central means that it is a good location for organisations – because one of the rules of the Hub is that projects must be multidisciplinary and multi-institutional. Another great advantage for multi-institutional projects is that RCaH is neutral territory. 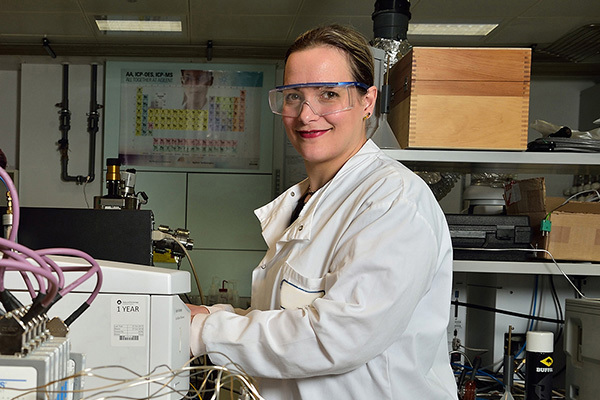 Josie Goodall is responsible for managing the UK Catalysis Hub. In her view, another of the factors that contributes to the success of the Catalyst Hub is because all the systems are already in place for research groups – estates, technicians, operatives – not to mention access to the Central Facilities.